As I stand at the crux of my education and career, the success and joy I feel from studying, comes from my roots in alternate education. I studied in a Montessori school, one that did not have any textbooks, exams, or classes. This form of education provided me with a memorable childhood that has proved to be my strongest foundation. Well placed and successful in life and the corporate sphere, individuals from Montessori schools are equally, if not better established in today’s world. 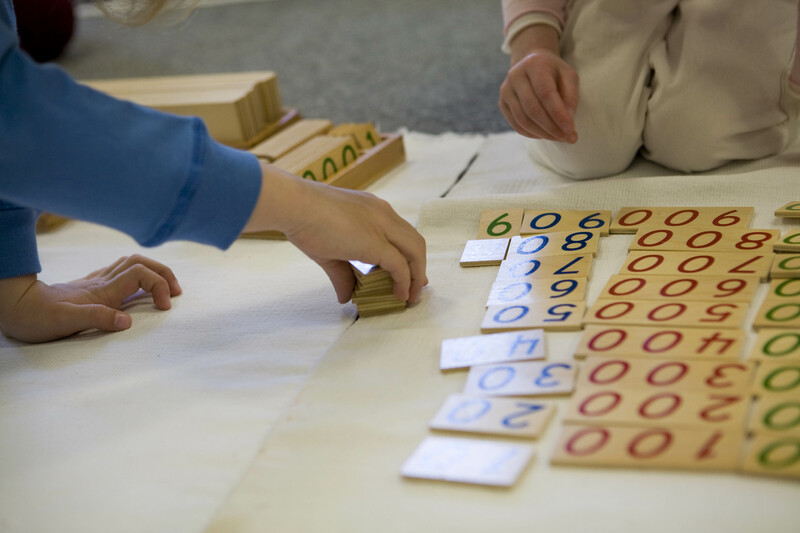 Montessori is an educational approach developed in 1897 by the Italian physician and educator Maria Montessori. Providing the child with a nurturing and constructive environment, through which the child learns at it’s own pace, is the essence of Montessori. My father would always explain “One plus one is two, we all know that. But a Montessori child will tell you why one plus one amounts to two”. Montessori is so much more than just academics, its an entire belief system. One where emphasis is not on competition rather, in helping each other grow. Where respecting every individual is essential. Where learning is always welcome and a teacher need not know everything, rather assist the child in what they wish to do. Children are taught various concepts with the help of materials, this gives the child a more holistic outlook. Forced to carry heavy bags, mugging, and getting “good marks” my parents after having studied this way, wanted a different life for me. They strongly believed that pushing a child to study numerous textbooks was not the way education should be handled. Instead they saw sense in the observational method of progress. 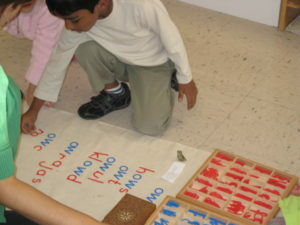 In Montessori, a child would be given periodic lessons, after which the child is allowed to work at its own pace. Further the child is given additional individual assistance in areas they might be lacking. At the end of the year, a comprehensive summary of various skills, under various categories, such as “Demonstrates self-discipline”, “Accuracy in solving mathematical problems” etc would be measured against a numeric grade or a progress level indicative of a child’s performance. For instance, he/she could be marked C for Consistently, F for Frequently and S for Sometimes. Each of these aspects would give insight into the overall aptitude for a specific subject of interest. When I finished 8th grade, the time had come to shift to a conventional school. I recall on my first day of 9th grade, I was not nervous but rather curious. How had the rest of the children been studying, I wondered. From the first day, it was clear I was in for a lot of repetition, a Montessori child is said to be three years ahead of their peers, in terms of education. I had already done a lot of what was being taught. One week in my new “conventional” school and I was already bored. I did very well in academics, but I wasn’t happy, everything was just done for the sake of it. Concepts such as understanding, learning, growing, were all forgotten. The foundation Montessori had given me not only equipped me to adapt to various situations but also to excel in not just academics. Montessori equips a child completely to deal with the real world and fully understand that things need not always be black and white. When I entered my formative years of 11th and 12th, doing PUC (Karnataka state board) was torture. The rigid system forced me to un-learn concepts and re-learn it only in the prescribed way. But I believe the strong foundations of Montessori are in fact what helped me achieve this. Stress free and enjoying all that I studied, Montessori has given me the most important of ideals. To work with passion, with love, to understand thoroughly the purpose and details of every concept I learn. This powerful tool has moulded me into the successful individual I am today. Giving me confidence to voice my views and stand my ground, I now understand the full impact that Montessori has had on my life. Going into my third year of degree, as a Visual Communication student of St. Joseph’s college of Arts and Science, I hope to not just pursue one line, rather a collection of aspects I am passionate about. These include design, writing, video production etc. I look forward to my career, as I am certain my roots will help me keep learning and growing. I may not know what my future holds, but I do know that growing up, going to school and studying were my favourite things to do. And that was all due to my Montessori education. Rhea Charles is a final year degree student of St. Joseph’s College of Arts and Science, currently pursing Visual Communication. She is presently interning at Berean Bay Media House. Rhea studied Montessori in Namma Shaale, and is extremely thankful to her principal Mrs Rama Reddy. 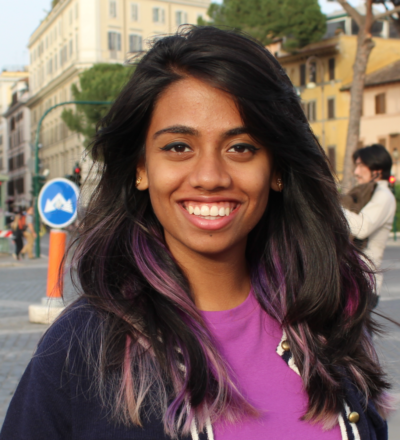 Her other interests include travelling, typography, photography and reading. Wow! I didn’t know who the author was until I reached the end of the article! Kudos! I’m so.impressed by the confidence and your honesty in letting people know the truth about your experience with Montessori education! I was thinking I was reading an article of a student who studied in USA or some other foreign country in the beginning …but as I read through the article I came to know it was done one who studied here in Karnataka… And to finally know that it’s my dear friends daughter!! Keep up the good work Rhea!! Good luck with your studies and career and keep your head high and be confident no matter what!